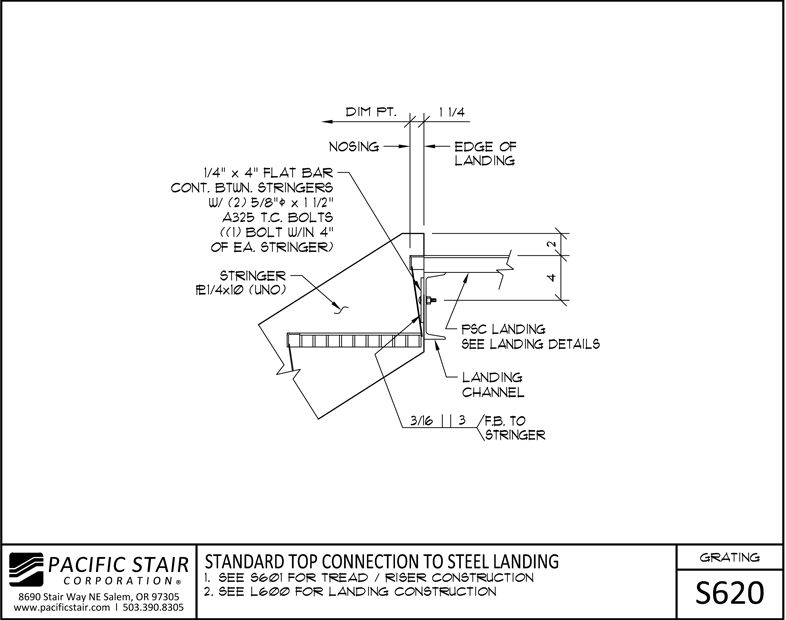 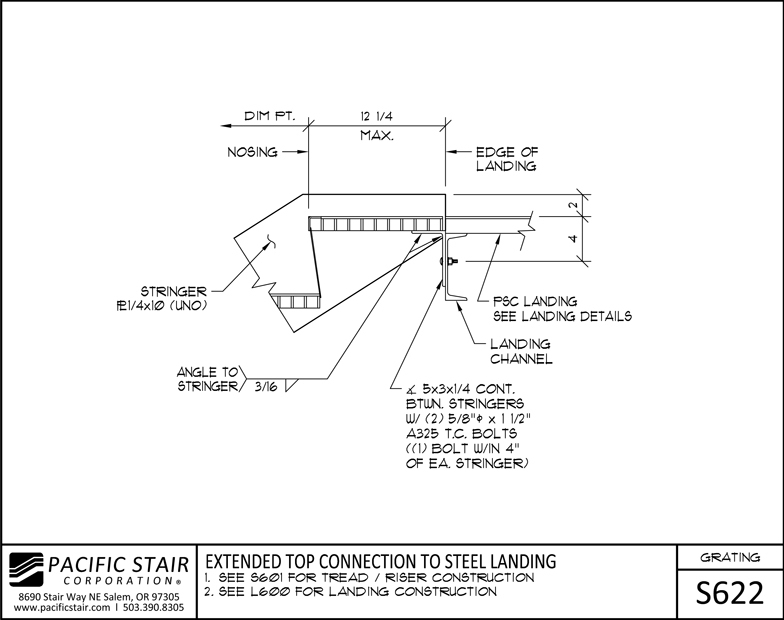 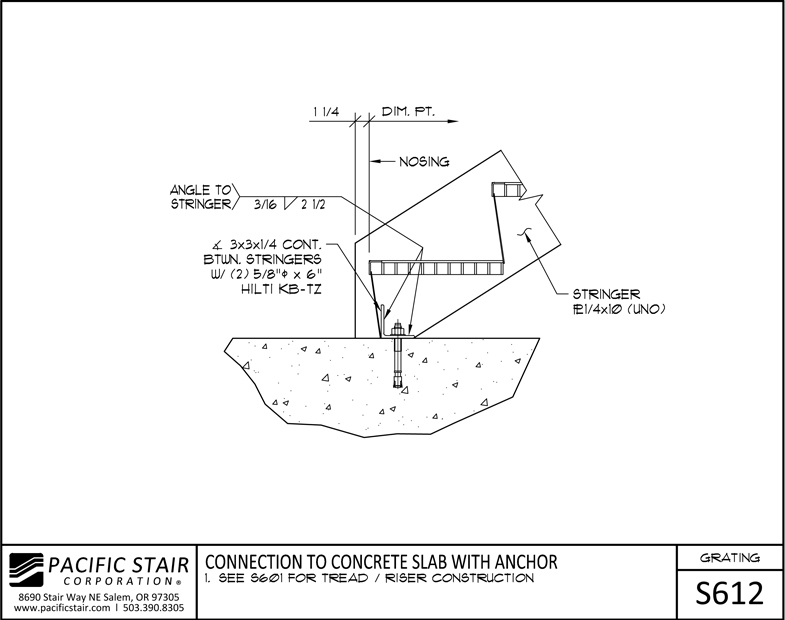 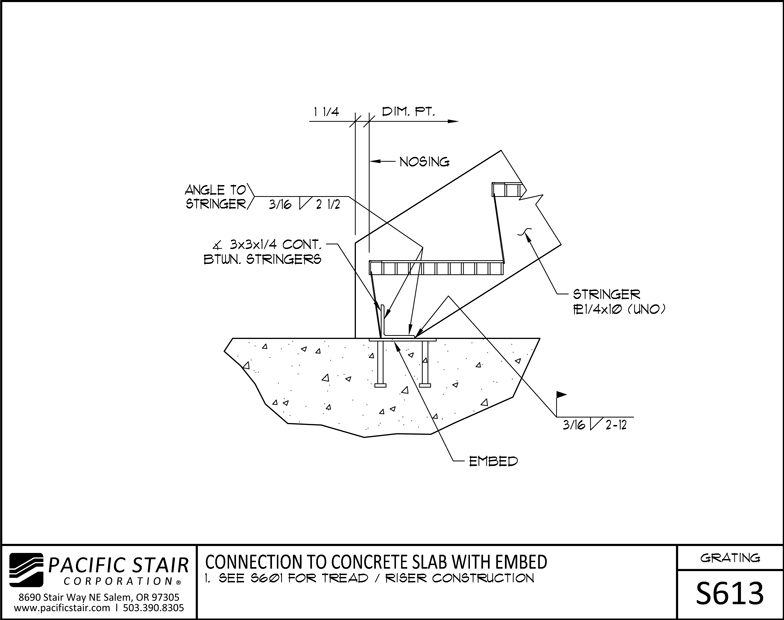 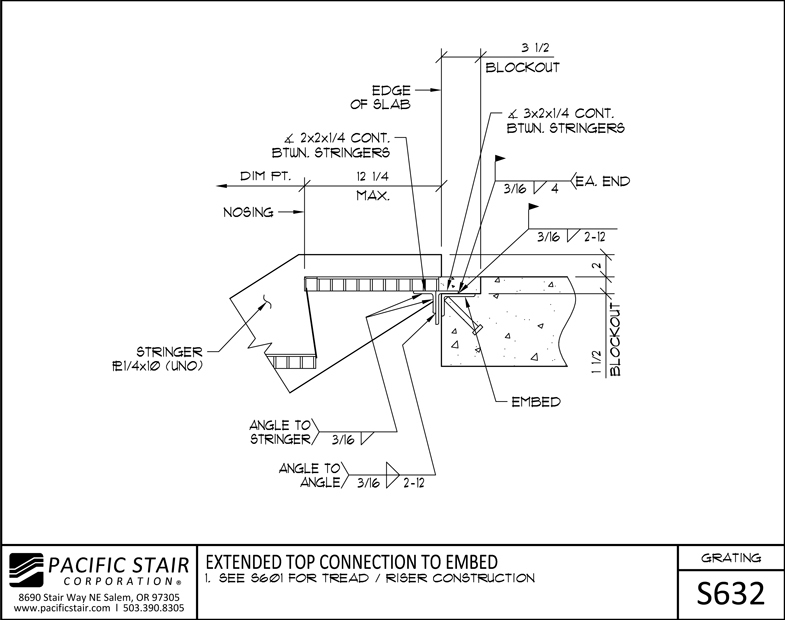 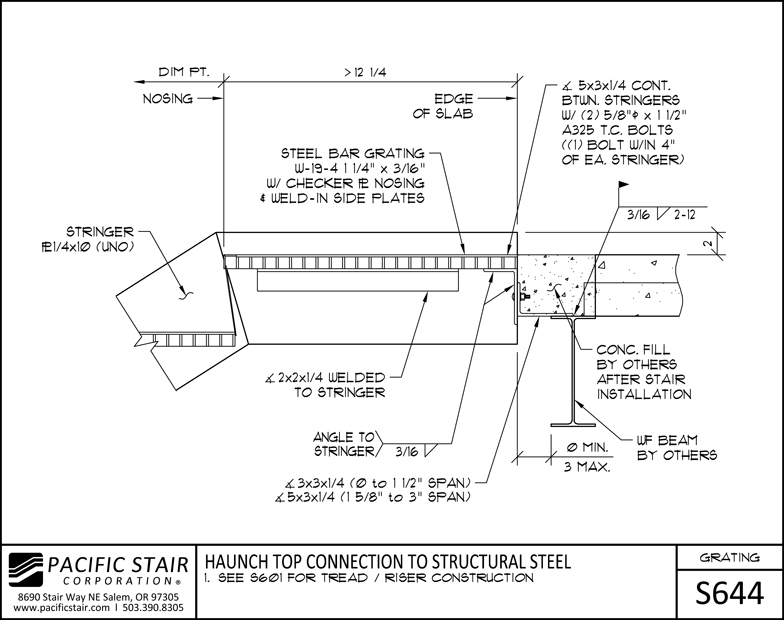 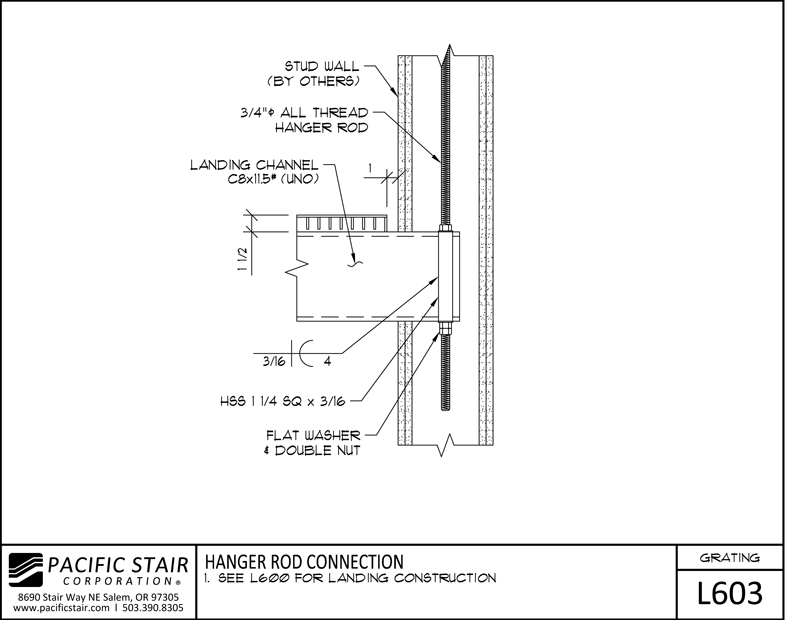 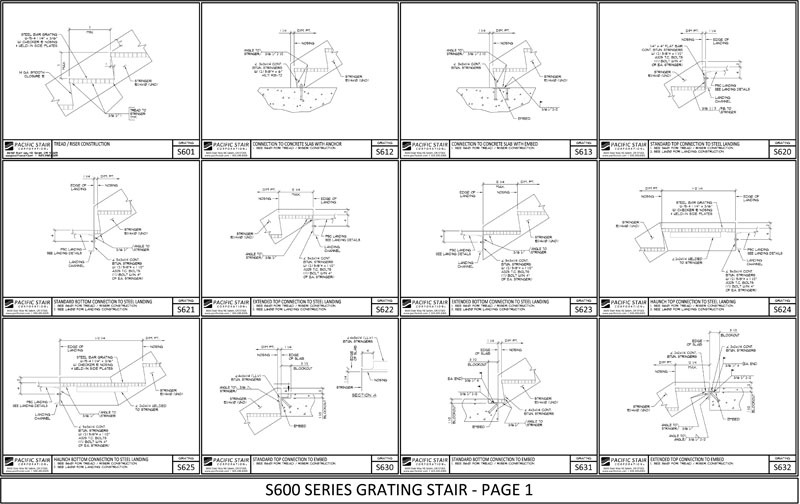 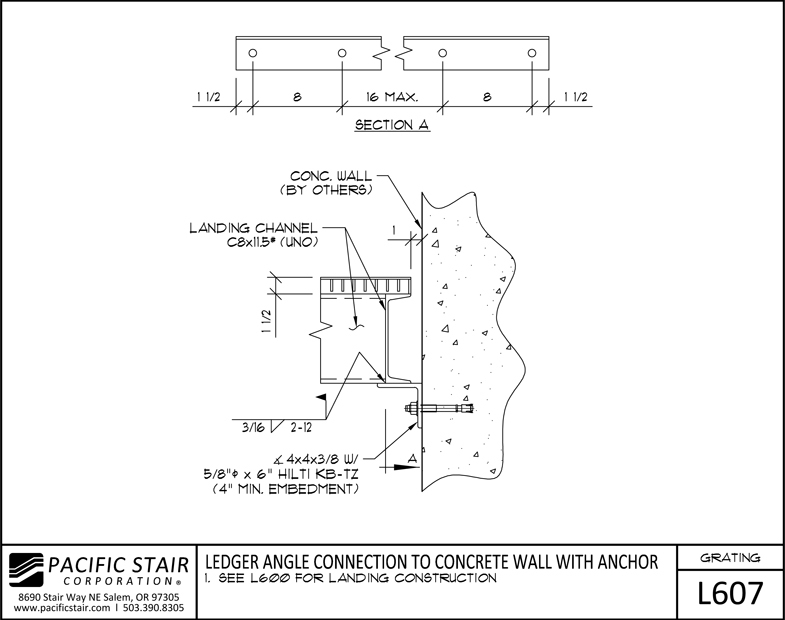 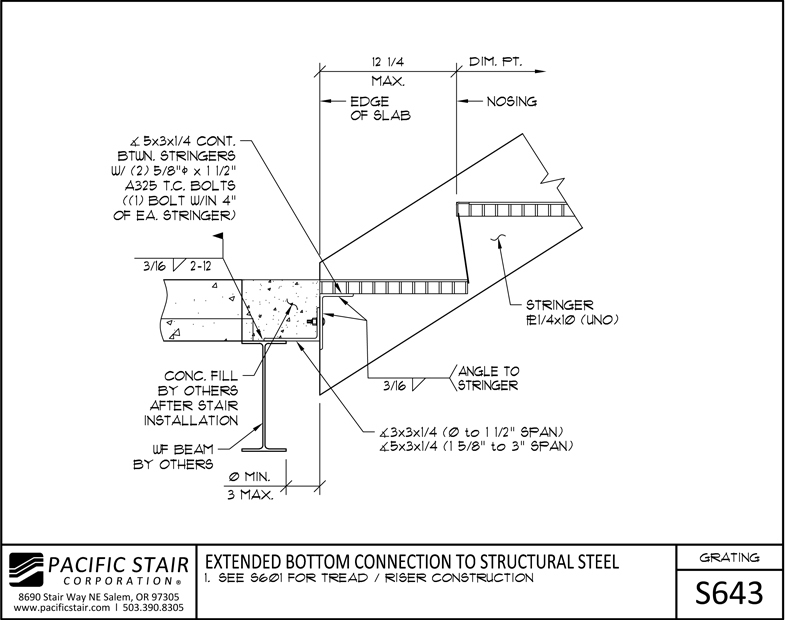 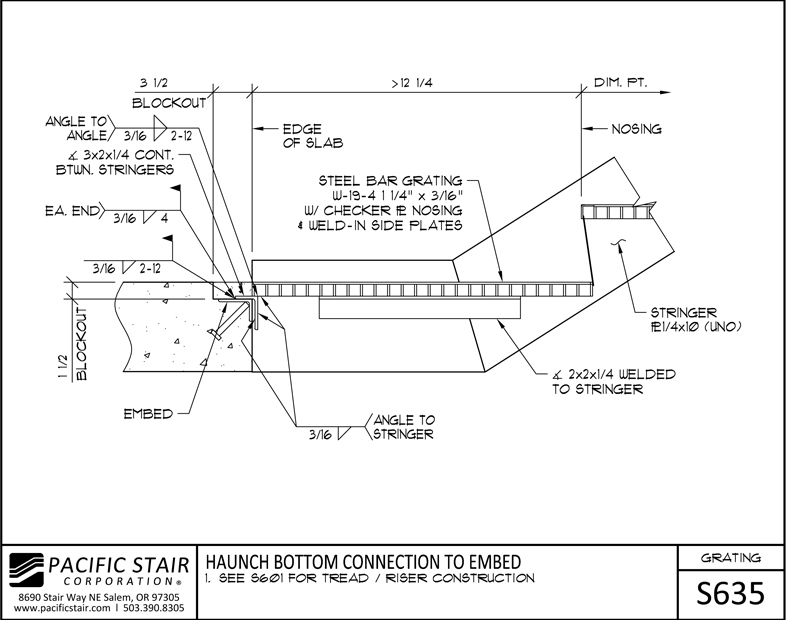 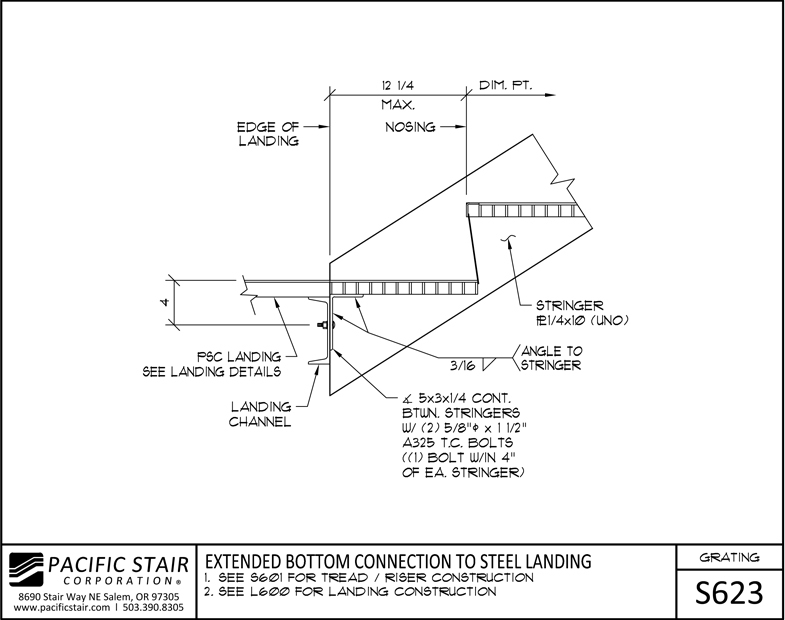 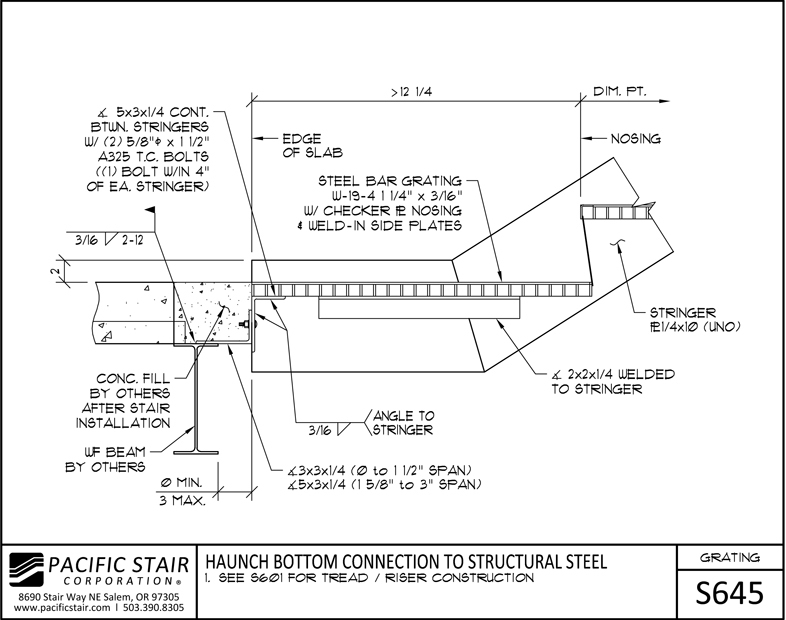 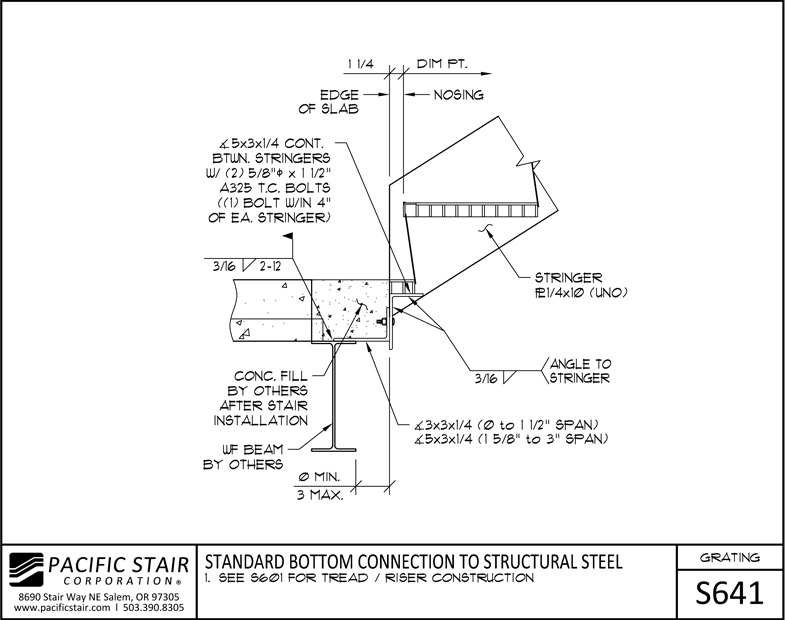 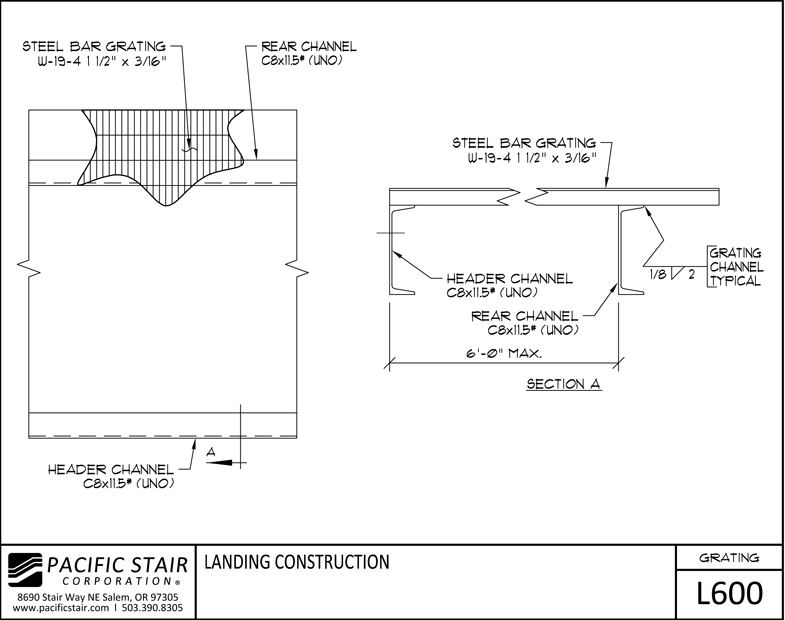 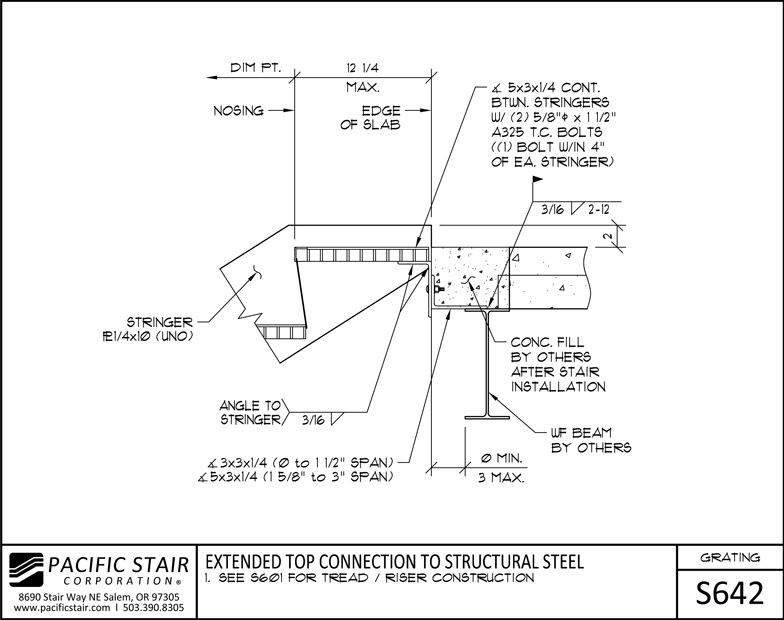 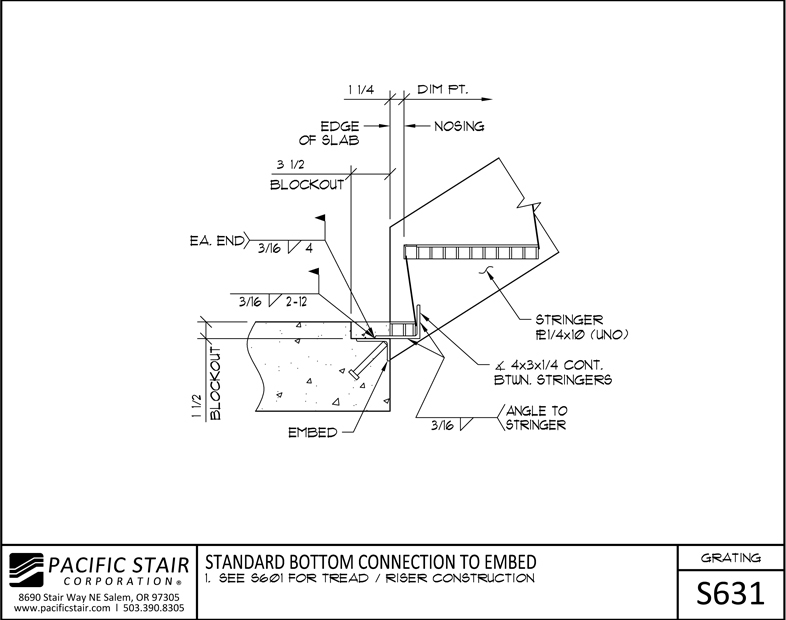 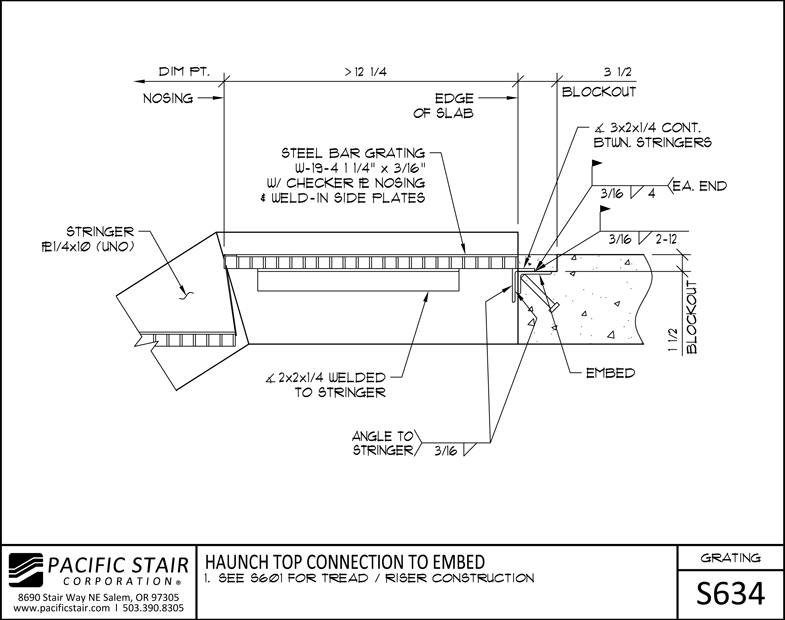 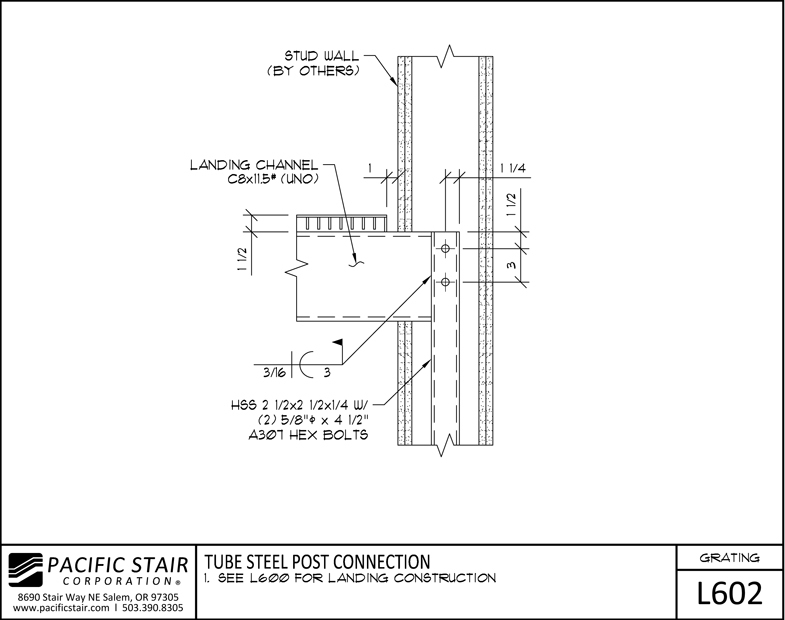 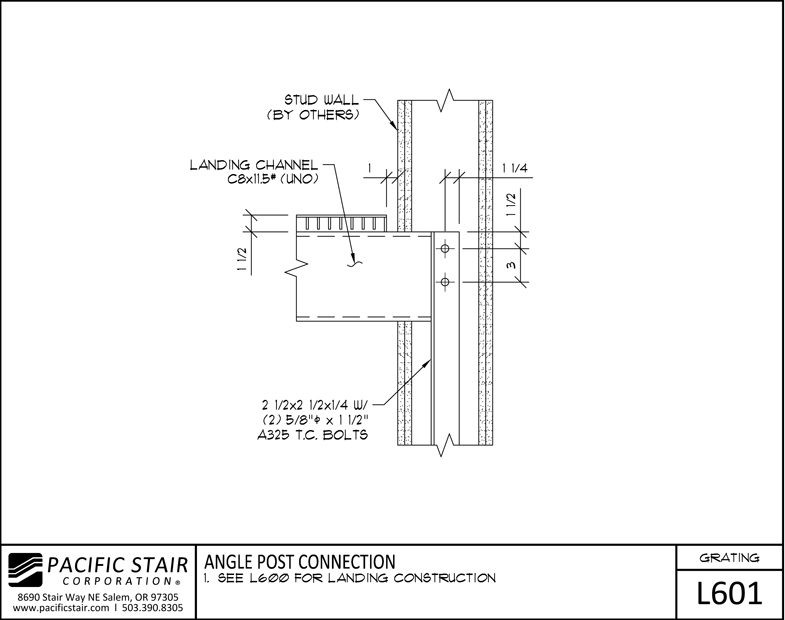 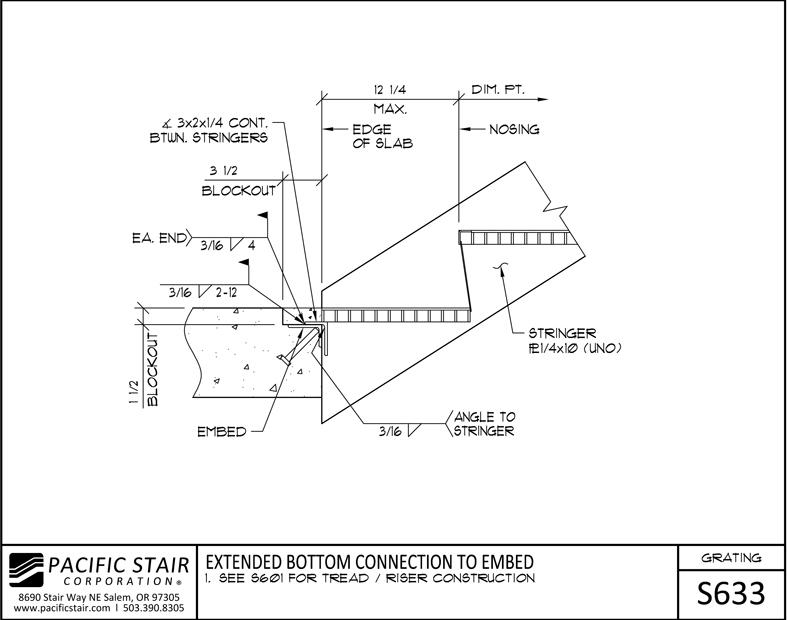 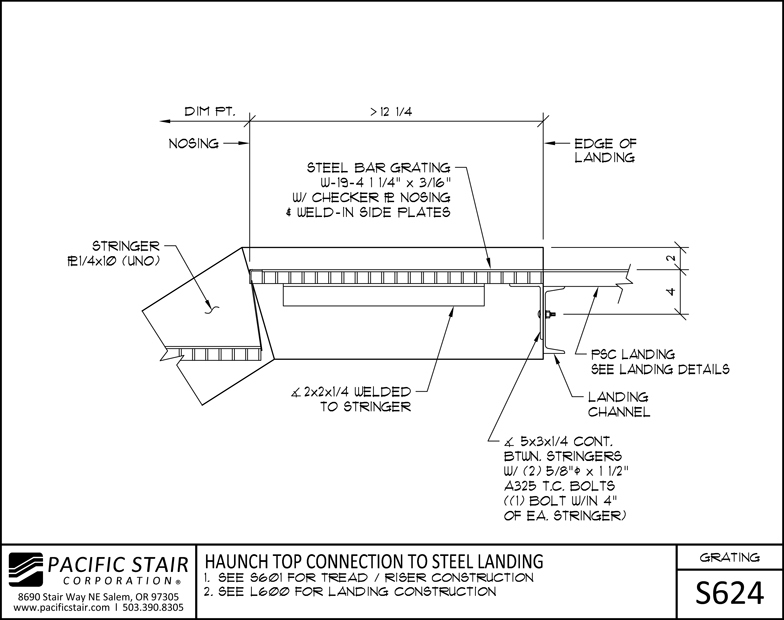 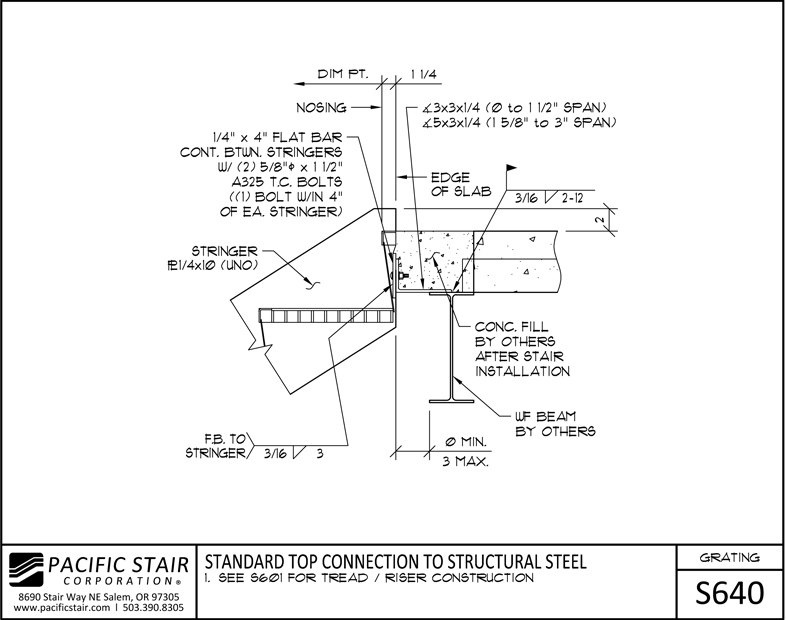 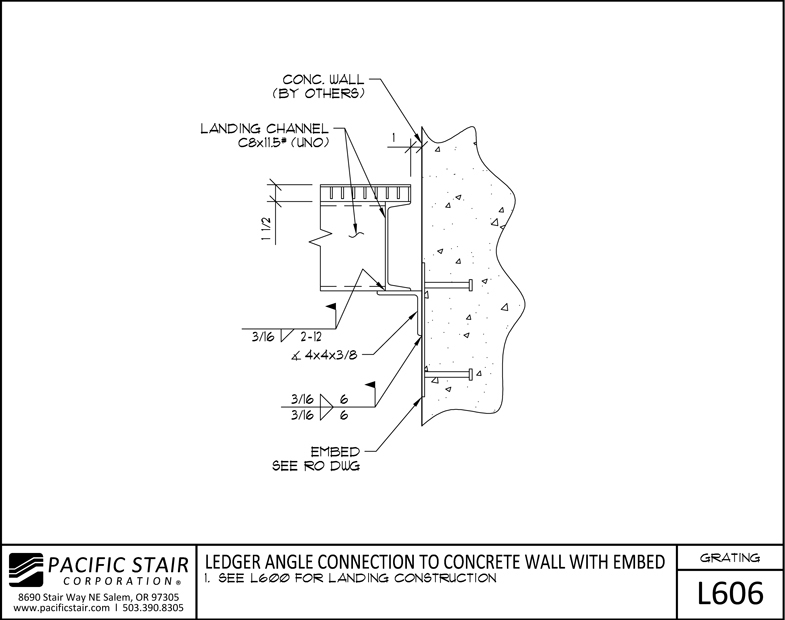 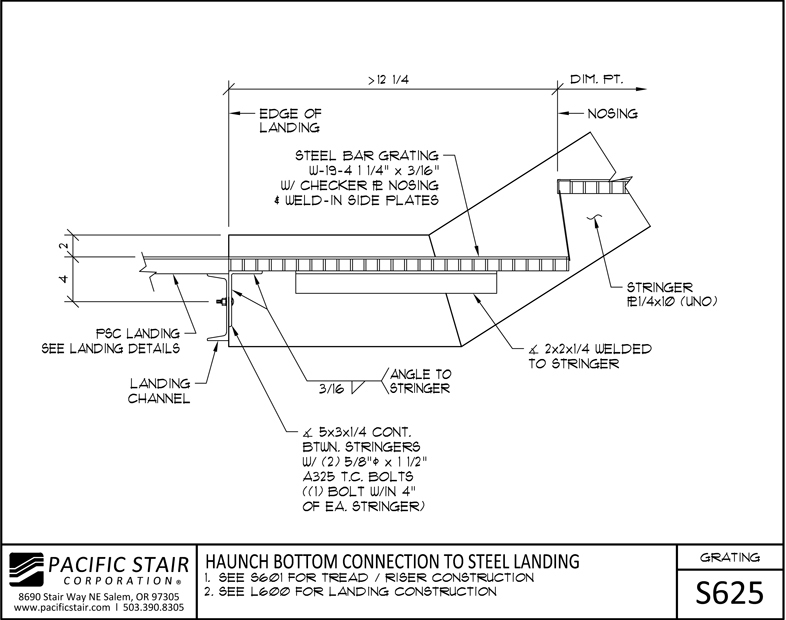 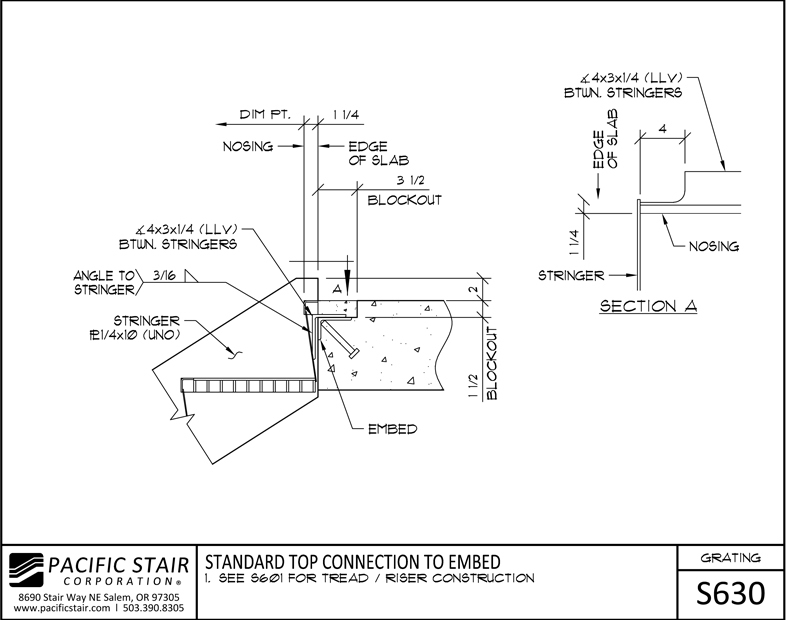 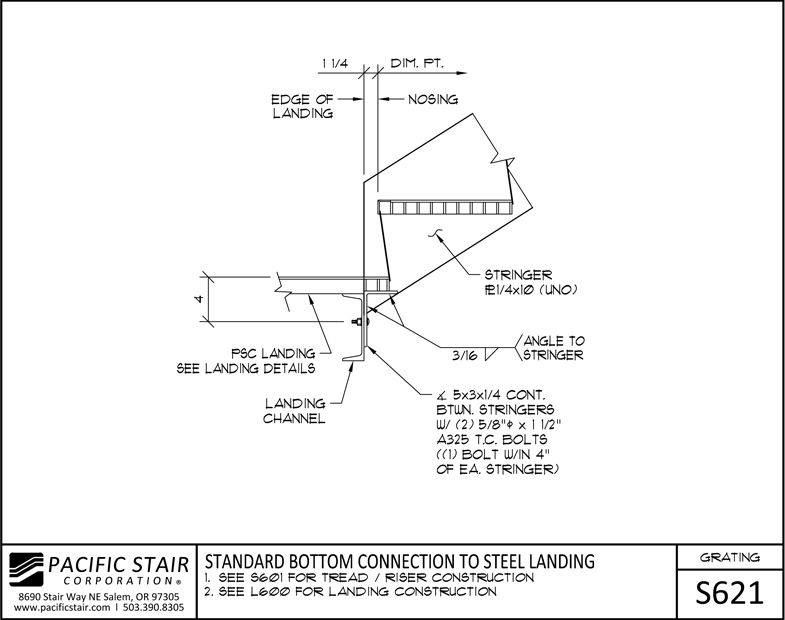 Pacific Stair Corporation's 600 Series Grating Stair System is commonly used in mechanical areas such as machine rooms, as well as exterior locations such as roof stairs. 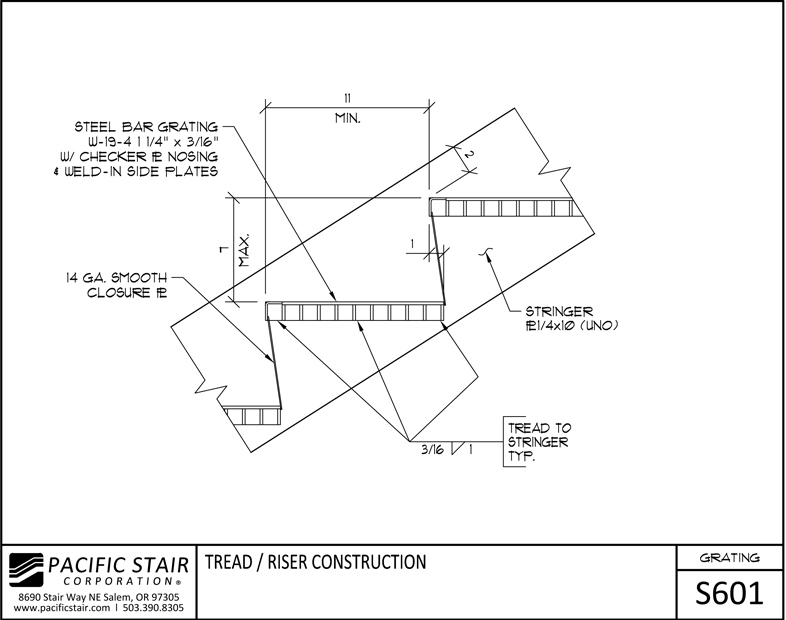 Bar Grating stairs provide a slip-resistant walking surface. 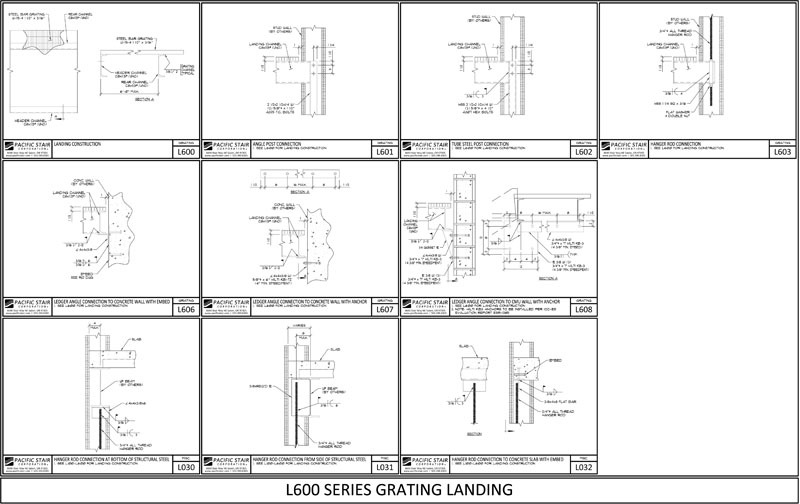 Our standard design includes checker plate nosing. 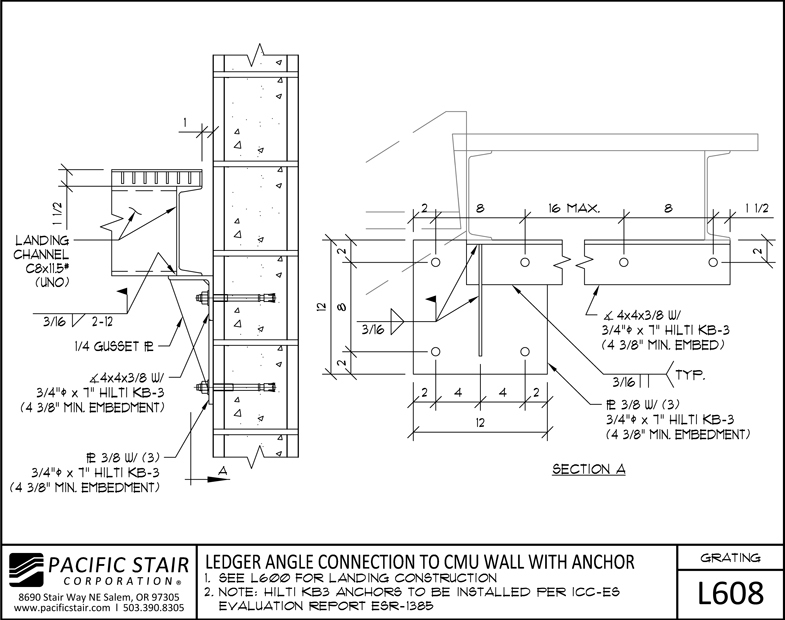 For an added cost, riser closure plates can be added to block the gap between steps.